Last week, we reported that the Subway (sandwich shop) on First Avenue between Sixth Street and Seventh Street had closed... this after the Marshal seized the storefront on behalf of the landlord. 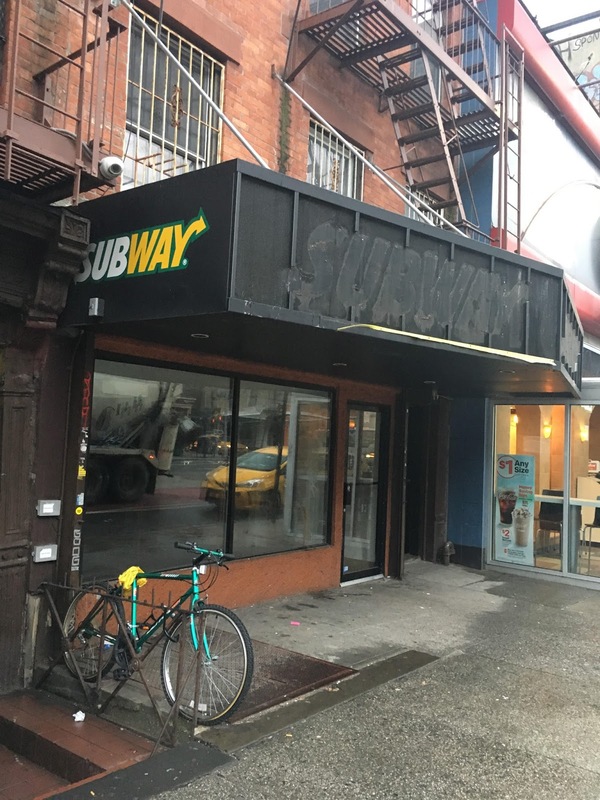 This marks the marks the seventh Subway sandwich shop to close in the immediate area in the past five-plus years. I miss the Blimpie store on 14th and 1st. 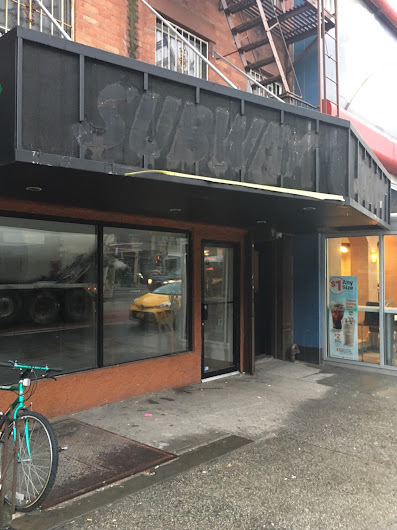 Sadly the only Blimpie left in the city is downtown on the westside. There is a Blimpie on i believe Nassaue and John street in the financial district. Are high prices kicking out the chains? ha.